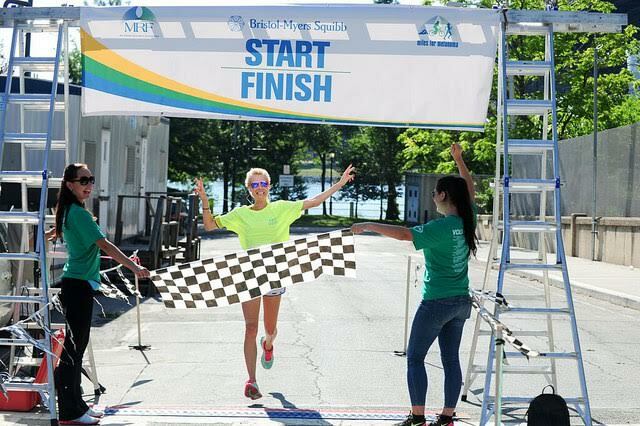 The Melanoma Research Foundation (MRF) invites you to join us for the Miles for Melanoma NYC presented by Bristol-Myers Squibb on Saturday, August 27, 2016 at Roosevelt Island- Firefighter Field! WHO: You! Join us individually or create a team when you register. 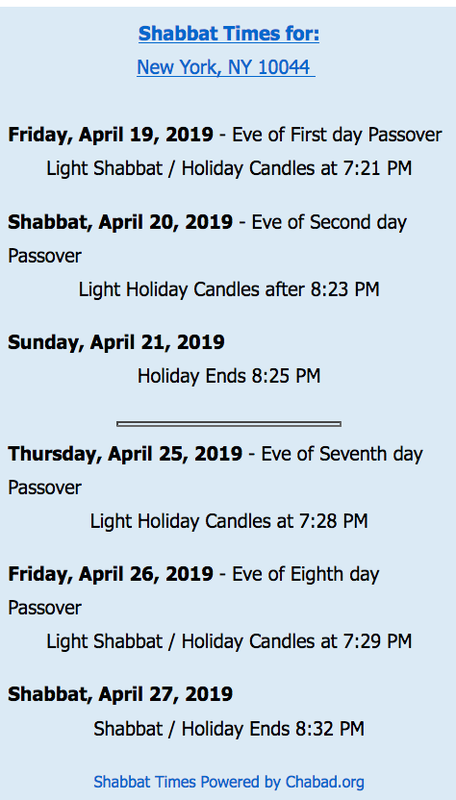 Register early to save! Early-bird registration ends on August 25th at 5:00 pm. 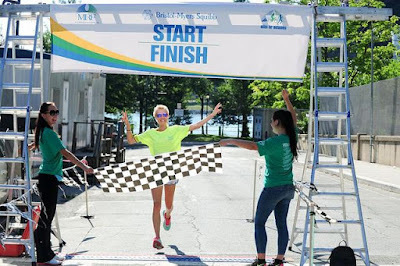 Race day registration increases by $25 per person. Competitive runners will be $55 per person and non-competitive will be $25 per person. Credit cards and checks only - no cash will be taken due to security issues. Can't attend? 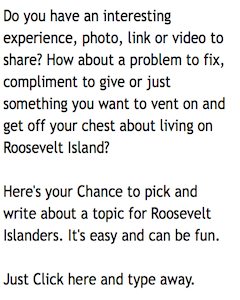 Participate virtually! 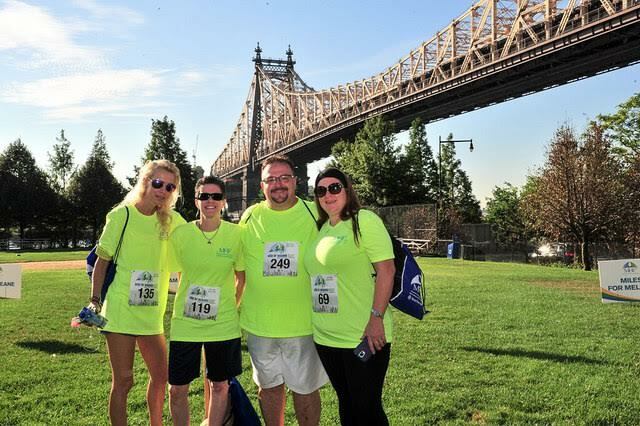 If you would like to support Miles for Melanoma NYC from the comfort of your home, choose virtual participation! Virtual registrants have a discounted registration rate. They do not participate on race day but are still eligible for all fundraising prizes (event day Champions shirt excluded). 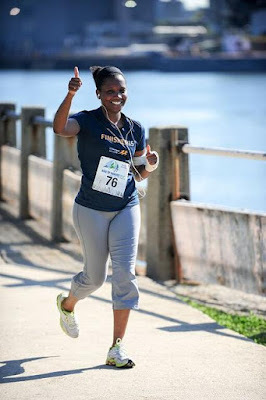 from the 2016 MRF Washington DC 5k Run walk. 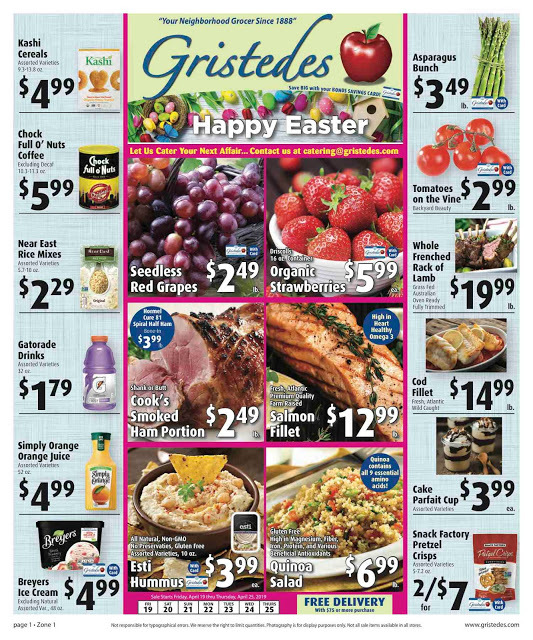 Check out We Heart Astoria for things to do in Astoria this weekend. The Roosevelt Island Operating Corp (RIOC) Public Safety Department is currently experiencing problems with it's phone service. 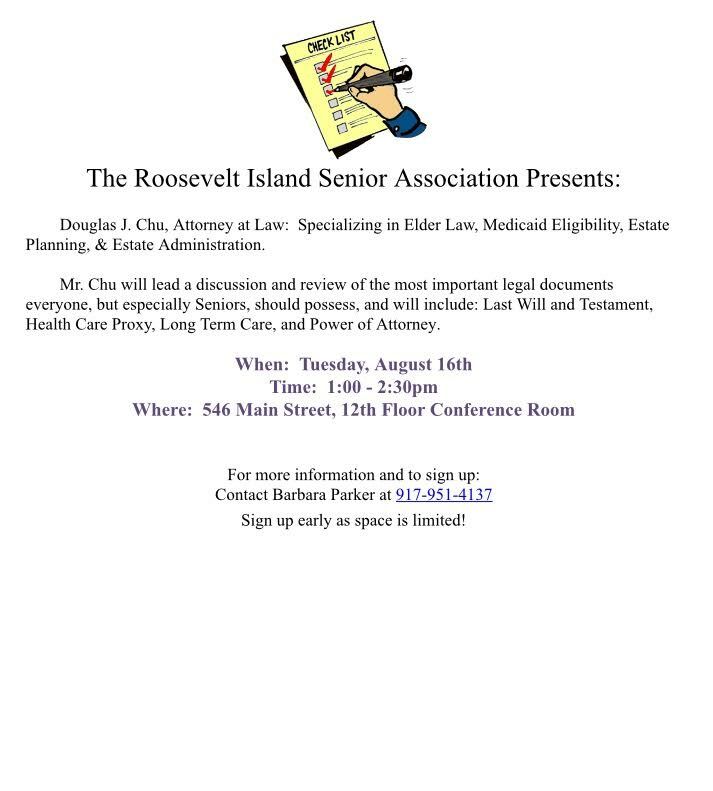 Anyone needing immediate assistance or in the event of an emergency, please contact the Roosevelt Island Public Safety Department or dial 911. When will the Trellis Diner reopen? 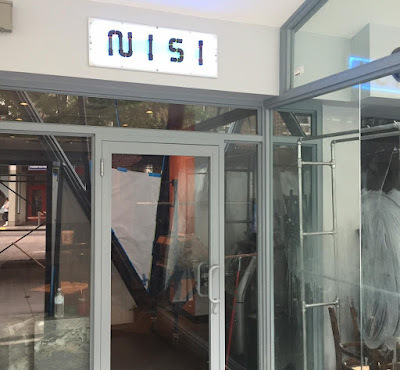 The answer is that the Trellis, which began renovations in 2014, will not reopen in its previous incarnation as a traditional Greek Diner but will return under a new name, NISI, a new menu and a new exterior and interior design. and spotted owner Alex Razahgi doing some clean up work on the door. Alex told me that the renovations were complete and NISI is ready to open pending inspections by the Fire Department and Con Ed. Alex did not know how long the inspection approvals would take and said that the inspection timing is out of his control. According to Alex, NISI will have a new upscale menu with affordable prices but fewer items than Trellis offered and a bar with an excellent wine list. I am told a good wine list is definitely needed for Roosevelt Island. Stay tuned for more NISI news and hopefully an opening date soon. continues tomorrow night with the showing of Raiders Of The Lost Ark. 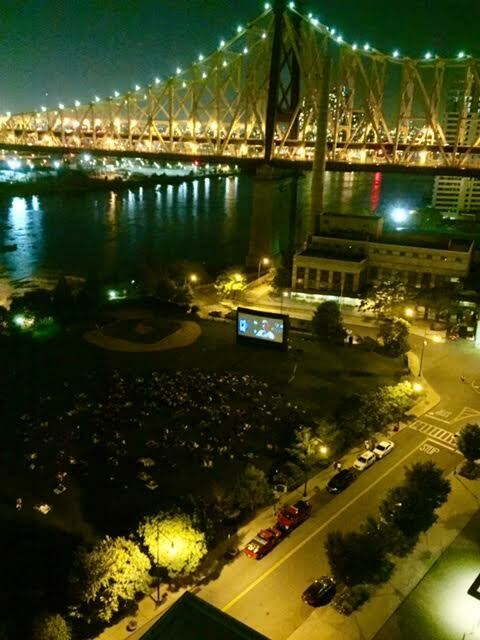 This Friday, August 19th, we will be screening the film Indiana Jones and the Raiders of the Lost Ark at Firefighter’s Field. Movie night fun begins at 7 PM. There will be music, trivia, prizes and a great adventure! You are welcome to bring blankets and lawn chairs. There will be food on-site, available for purchase. In the event of rain, Indiana Jones and the Raiders of the Lost Ark will be rescheduled for Friday, August 19th. 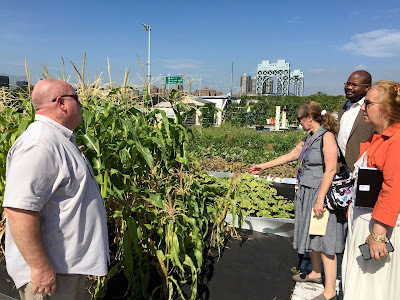 Yissely Ortiz, BP Community liaison (left) and Deputy BP Matthew Washington (right), visited the NYC Parks Department Five Borough Green Roof on Randall's Island last Friday, August 12. In the spring of 2007, the Five Borough Technical Services Division of the New York City Department of Parks and Recreation installed its first green roof system atop their headquarters, the Five Borough Complex on Randall‟s Island. 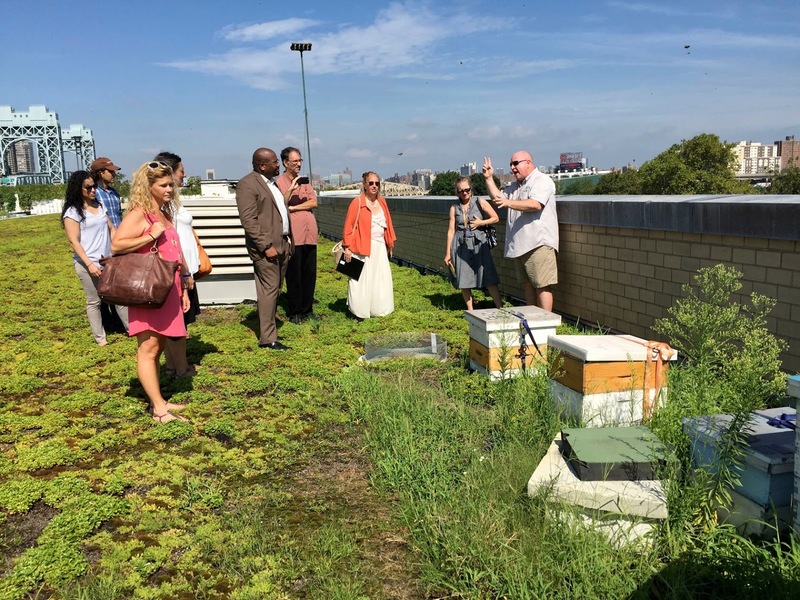 Since then, the Technical Services division, in cooperation with the Parks‟ GreenApple Corps, has expanded the green roof program to encompass over 30 unique growing systems covering 30,000 square feet of our roof. As the fifth largest green roof in New York City, the 5-Borough project is not only a key component of the Parks‟ commitment to reducing its carbon footprint, but it also serves as a way to educate and inspire park staff and patrons, as well as supply a resource for peers in the field. The 5-Borough green roof distinguishes itself from others, as it is the only known green roof in the country to feature distinct systems side by side. 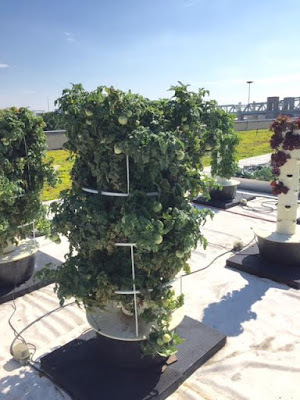 These systems vary by type of growing medium, depth of growing medium, and plant selection. By using a variety of planting systems and monitoring their progress, we are identifying the types of green roof systems that will thrive in the NYC urban environment. A green roof is a thin layer of vegetation installed on a traditional flat or pitched roof. Although the specifics of green roof design may vary, all green roofs have the same basic components (Fig. 1 from the bottom up): waterproofing layer(s), a root barrier (to prevent the plantings‟ roots from growing through the roof), water retention/water drainage layer, growing medium, and plants. 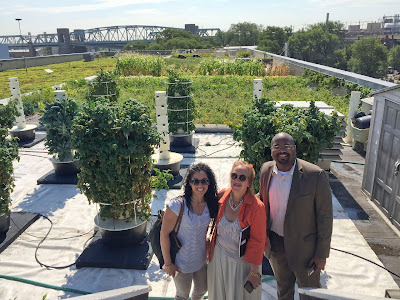 Here's view from on top of the Randall's Island NYC Parks Department 5 Boro Green Roof Garden. 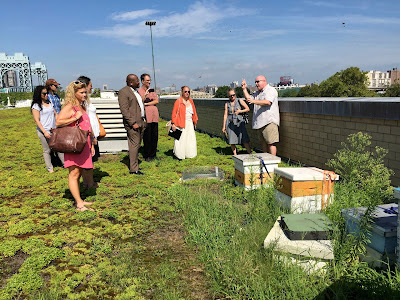 Roosevelt Island PS/IS 217 teacher Ursula Fokine, PS/IS 217 PTA's Olga Shchuchinov and Erin Olavesen, and iDig2Learn's Christina Delfico joined Borough President Brewer and her staff on the August 12 tour of the NYC Parks Department Randall's Island Green Roof. ... to be inspired by the work being done by the Parks Department. 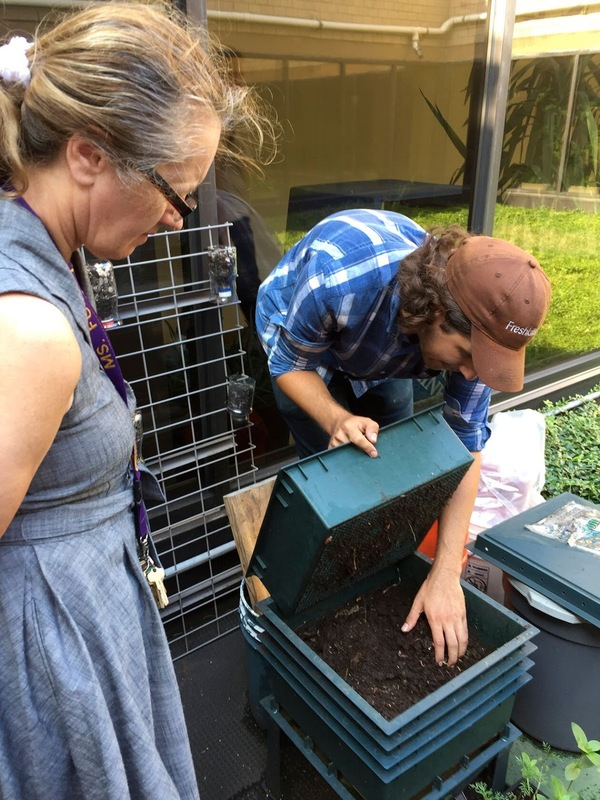 We are looking to design our roof, that we have now received such generous funding for, and we are looking to make our roof a combination of a space for our students and also to be environmentally exciting and sustainable. 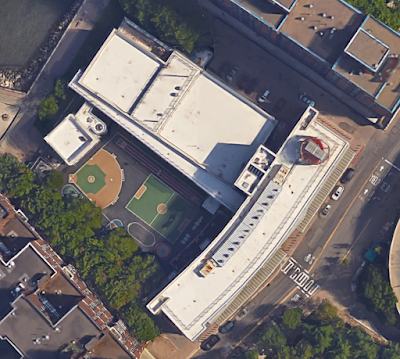 The PS/IS 217 roof is approximately 6.700 square feet. and Sustainability Project Development Coordinator Max Lerner. 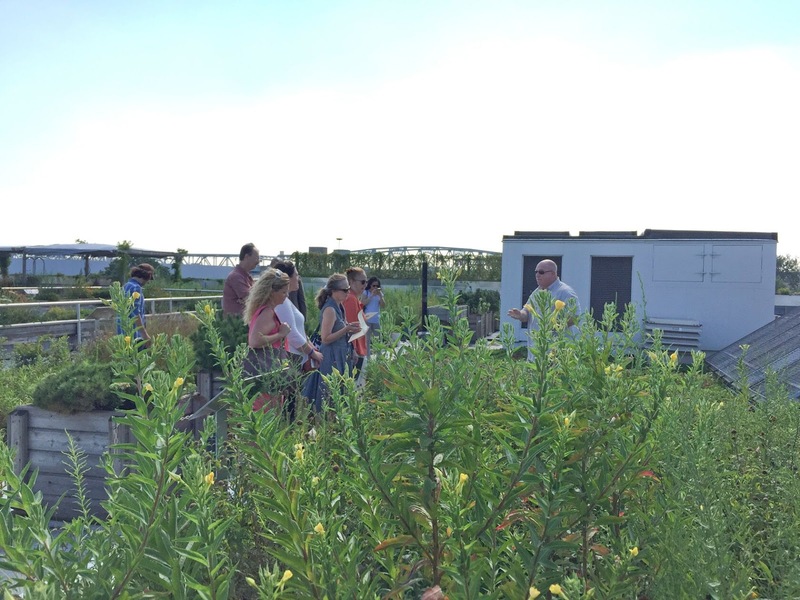 followed by a tour of the Green Roof by Artie Rollins. 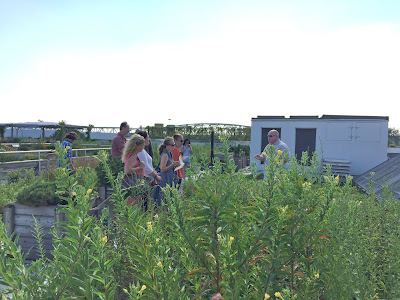 Here is the start of the Randall's Island Green Roof tour. and Mr. Rollins show us a Vertical Wall Garden. Mr. Rollins describes building code challenges for School Green Roofs and possible solutions. Variety of native plants and soil systems. 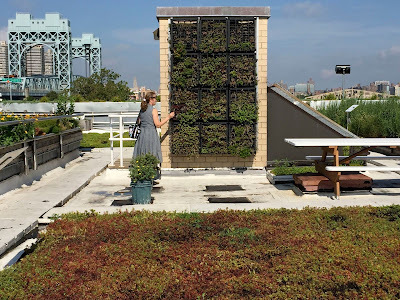 Laying down Green Roof Trays and Ancillary Costs of Green Roof systems that include Certificate of Public Assembly, Fire Alarm and ADA Elevator. Mr. Rollins is thanked for the tour by Christina Delfico and presented with special Heirloom tomato seeds and a Roosevelt Island map. Check out more information on the NYC Parks Department Randall's Island Green Roof facility. 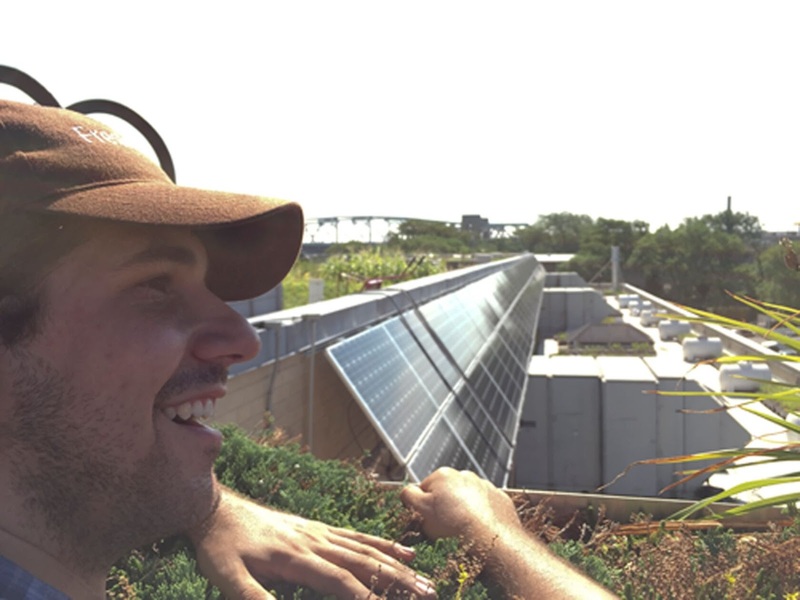 It's got everything you want to know about Green Roofs. Nick Turner shares video of last night's Lightening over Manhattan seen from Roosevelt Island (Click on Full Screen Icon for better view). 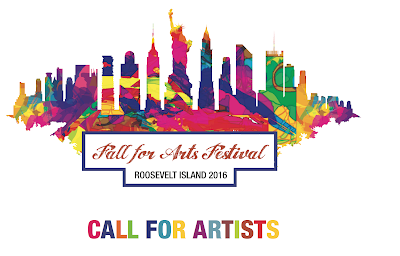 The annual Roosevelt Island Fall For Arts Festival is scheduled for Saturday September 24. On Saturday, September 24th, 2016, the Roosevelt Island Operating Corporation will present the annual Fall for Arts Festival on Roosevelt Island. We are seeking artists or groups to each paint one of several 6-by-8-foot murals outdoors during the Festival, which will be held from 11 AM – 4 PM on the lawn south of 531 Main St. Artists are free to arrange an earlier time to begin their work, if needed. This year, our theme is “Mosaic Vignettes: Scenes of New York City” which will allow artists to design their own visions of NYC using diverse elements to create a collage of images. We are looking for fine artists to create works of art using a technique of mosaic or mosaic painting, using any media of your choice (mixed media, collage, painting, etc). How to Apply: We invite you to submit a sketch of your design or any inquiries along with a title and short description of the concept and technical method. Sketches should be sized according to a 6’ x 8’ ratio and submitted in jpeg, PDF or hard copy format. and more scenes from 2015 Roosevelt Island Fall For Arts Festival. Contact RIOC for more info and apply to paint. 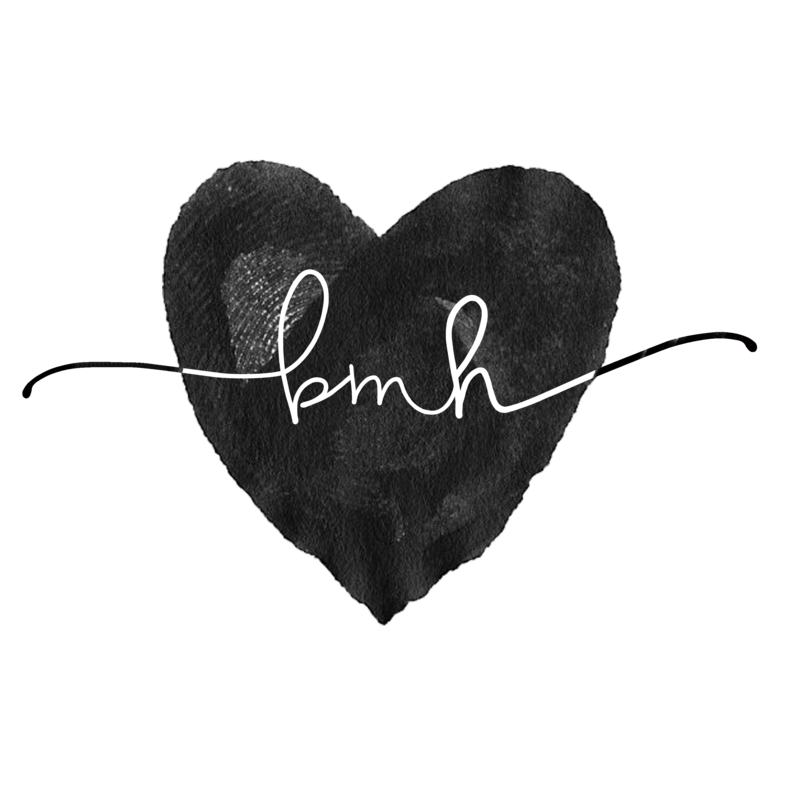 Click the full screen icon for a better view.